Full title: 'Glocestria Ducatus vulgo Glocester'. 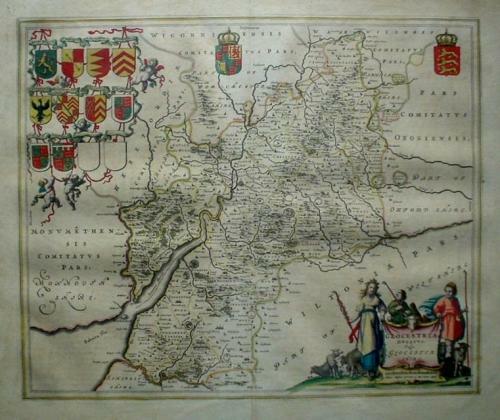 A handsome map of Gloucestershire, with a large decorative title cartouche to the lower right corner. There are twelve shields to the upper left corner, with ten featuring family coats of arms, the other two being blank. The royal coat of arms to the upper edge, another shield to the upper right corner. The map is in excellent condition with a centrefold as issued. there are are no discernible faults.